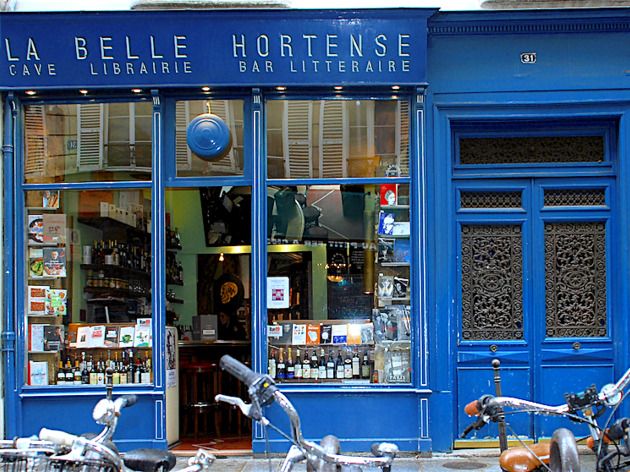 A tranquil boozy and literary escape from the frenetically trendy streets of the Marais, La Belle Hortense with its pretty blue frontage is all about settling down with a good book and a nice wine. 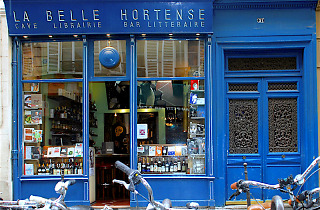 Hosting readings and literary events, the walls are lined with bottles and books, including new releases, rare volumes, independent poetry and classic collections. 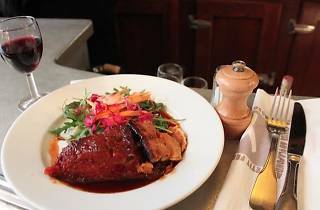 The wine list is enormous – quite pricy by the glass but much better value by the bottle or carafe – try a white Mâcon Solutré from the Bourgogne, a red Morgon Flache Somay, or splash out on top vintages like Saint-Emilion and Margaux. All regions are represented, and there’s also a monthly selection on the board. Note that the price of glasses goes up by €0.50 after 10pm. 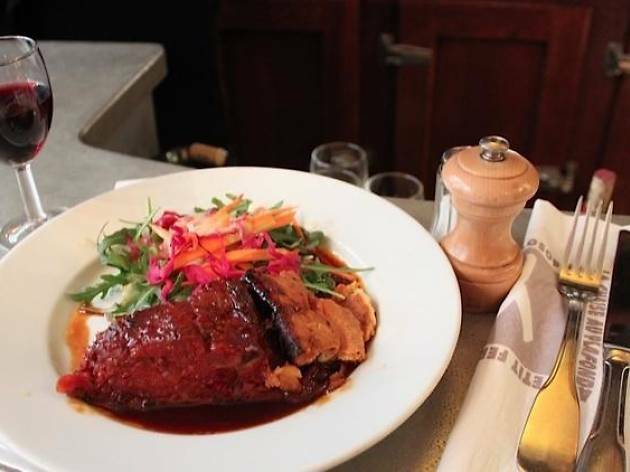 The excellent menu is provided by the kitchen over the road at La Chaise au Plafond (the owner, Xavier Denamur, is the same; he also has l’Etoile Manquante, Au Petit Fer à Cheval and Des Philosophes). It’s not cheap, but not bad for the area; dish of the day for €12 and a set menu for €24. The only drawbacks are that the place is rammed after 9pm and that the lone waitress has to divide herself between the bar, and giving clients advice on the bookshelves. Hortense De Beauharnaise is a grandmother of my great great grandmother Duchess Louise Margaret of Connaught https://en.wikipedia.org/wiki/Princess_Louise_Margaret_of_Prussia She is a daughter-in-law of Her Majesty Queen Victoria of England. Grandma Louise and grandpa Arthur lived in India in a town where my mother grew up and my grandparents spent their life. We visited in summers. Grandma Louise, grandpa Arthur and family live in Chateau Versailles. I live in United States in San Francisco, California.